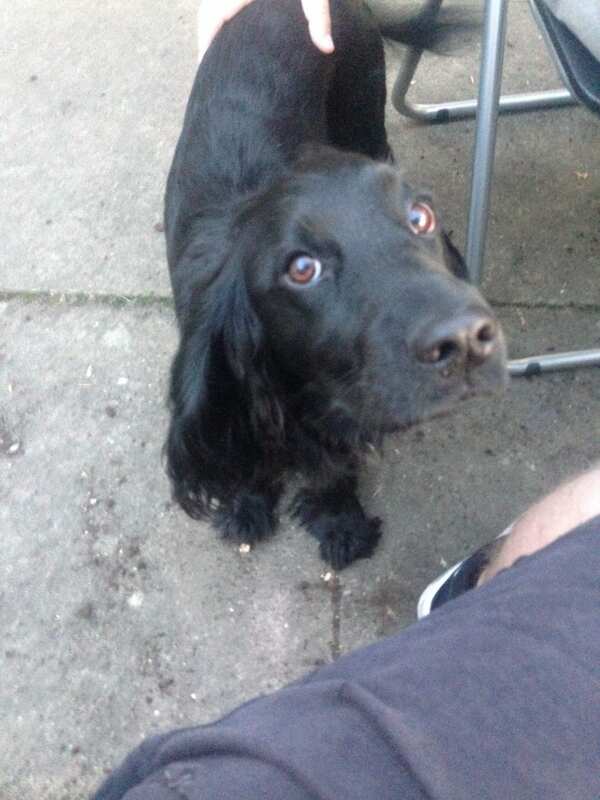 Hello again guys! Welcome to our second beer n biceps podcast, this week Todd and I looked at goal setting and how to use it effectively for your fitness and nutrition needs. We also briefly talked about the recent hot weather and how it can positively or negatively affect your diet and energy expenditure. We also review our beer of the week, which is Stone IPA (from the Stone Brewing microbrewery). We were also joined by guest podcaster Rodney, who suffers the disadvantage of being an adorable dog but didn’t let this get in the way of him interrupting our podcast and being generally cute throughout. During the podcast we decided to help Todd create both short and long term goals for himself, his long term goal is to look good in a suit at his wedding (hopefully some time in 2018). This is an admirable goal but over the coming weeks we will need to make it a bit more clear. So we will have to take measurements, scale weights, and look at estimating current body fat percentage. This way our long term goal will be a lot more specific. We then looked at his short term goal, which is to sign up to a gym and to perform one session in it. This may seem quite unambitious but the reality is that when you’re approaching 30 years old you can’t just jump into a weights session after 3 years of inactivity and expect this to be consequence free. Instead you will be suffering from Delayed Onset Muscle Soreness for around 5-7 days! Or at least that’s what I suffered from after only taking 2 months off. At the time of recording our second podcast Britain was in the midst of record June temperatures, so the glorious sunshine may have influenced our podcast discussion. Todd talked about how hot weather had helped to influence his diet, making healthier choices seem more appetising. While I agreed with him completely that this can be the case, I feel that this is dependant on the person’s individual mindset. If at the back of your mind you feel that you want to lose weight, then you will find it easier to eat healthier. If you don’t care then you may find the hot weather as a good excuse to eat more ice cream, or go crazy at multiple barbecues. Hot weather can also influence your daily activity levels, again dependant on your mindset. Someone looking to lose weight may be more likely to go outside and play basketball, or go for a run. While someone who is uninterested in getting in shape would probably find themselves slumped in front of a fan doing absolutely bugger all (guilty). Now that we have got all that goal setting information out of the way we can finally concentrate on what is important … beer! Firstly I would like to make a small correction, in the podcast I say that Stone Brewing is a German company. It is in fact from San Diego, US. It was opened in 1996 and has since expanded to Richmond, Virginia and Berlin, Germany – so I wasn’t completely wrong! The fact is that I did not enjoy this beer, while Todd thought that it was okay. As I said in the podcast in terms of taste I didn’t enjoy the initial taste, I didn’t enjoy the taste while drinking it, and I didn’t enjoy the aftertaste! 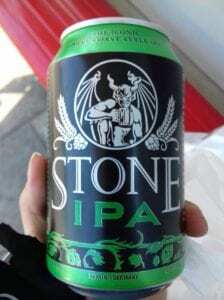 This is down to personal preference, and should not be seen as a criticism of Stone IPA. It’s a strong tasting an d high alcohol (6.9%) beer, that people who love highly hopped and citrus flavoured beers, should enjoy. It’s not like I have a particular problem with strong beers, I particularly enjoy Belgian beers and they all seem to start at 5% or more! But taste is such an important part of beer, and usually strong alcohol beers are also very strong tasting. Which is the case here. 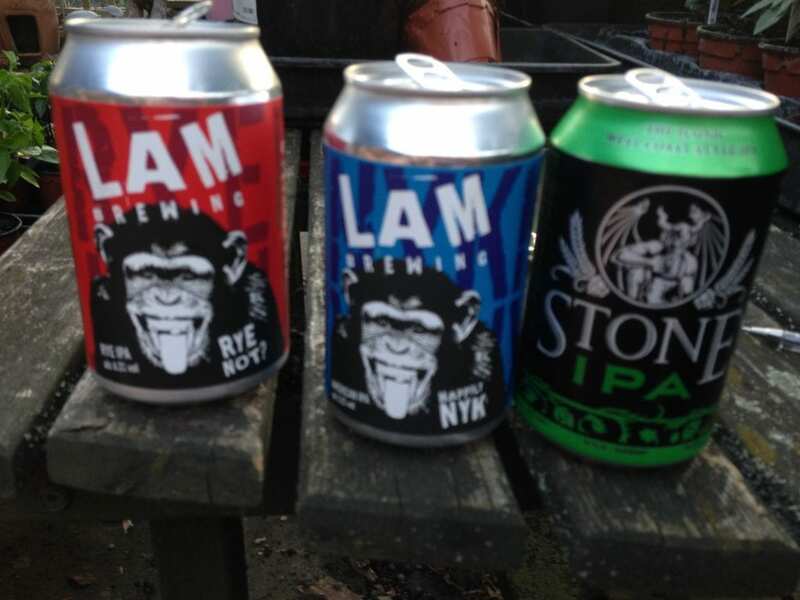 After the podcast we also tried a couple of beers from the LAM brewery in Kennington, check out the website if you’re interested in a very unusual set of beers. Again, these beers were not to my personal preference but Todd’s dad said the Pale Ale and wheat beers were excellent. In podcast episode three we will be talking about choosing the right gym for you, taking measurements, the importance of before and after photos, and we’ll be discussing Todd’s new training program. We’ll also have a brand new beer for you to try. In the meantime you can join our facebook group Beer N Biceps, check out our brand new Twitter @beernbicepspod. P.S. If you subscribe to our podcast on iTunes, please let us know and I will create a free training program for you to follow based on your personal circumstances. I usually charge £50-100 for this type of program, so please take advantage of it. Think of this as a goal setting exercise!